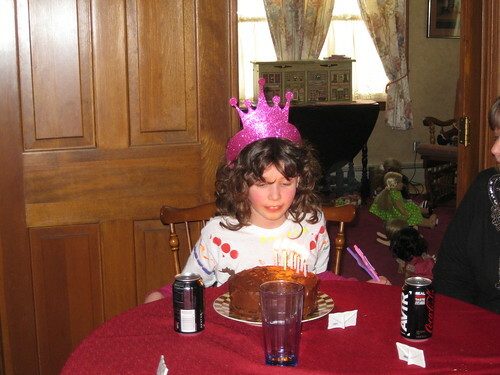 STAY AT HOME MOM: WW #96 "Happy 10th Birthday"
This Sunday is my daughter's 10th Birthday! I can't believe it. She had two parties already. One with her friends, on Saturday. Which we had at Michael's Craft Store. 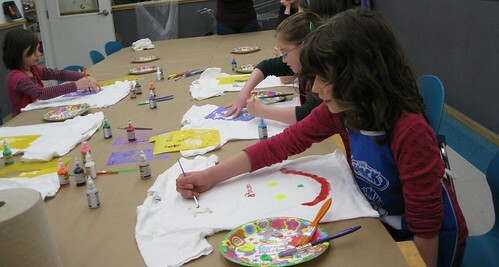 The kids painted some t-shirts. Then we had a family party on Sunday. We did all this early mostly because they are on school vacation this week so it was easier. And because then we went to the American Girl doll store in Massachusetts on Monday, with the money she received from people. Let's just say she bought a lot at the store! I didn't get pictures at the store, because I felt weird doing that. But the store is really cool. Happy Birthday to your little girl! It looks like she had a fun birthday. Happy birthday to your daughter. The party looks like it was a lot of fun. Happy birthday to your daughter! She sure had a blast on her big day. The idea of having a paint party of some sort for children is unique and fun. Happy Birthday! Looks like so much fun. I am jealous of the American Girl store trip. I really want to take my girls while they are still into them. How was the party at Michael's? That sounds like a fun idea. Tell your daughter happy b-day, Sue! Happy Birthday to your daughter!! Looks and sounds like she had a WONDERFUL time at all of her parties.